The intersection of health and commerce perpetually raises the question whether the impetus for change is motivated by good health practice or private greed? Our pollster regularly reminds us that profit is not a dirty word, but when it comes to health care, you want to be sure that the prescribed treatment is safe and based on good evidence, not necessarily on the best rate of return for the prescriber. U.S. publisher Astor + Blue have recently sent us two works of fiction – a thriller and a mystery – that both pivot on this intersection of commerce and health. 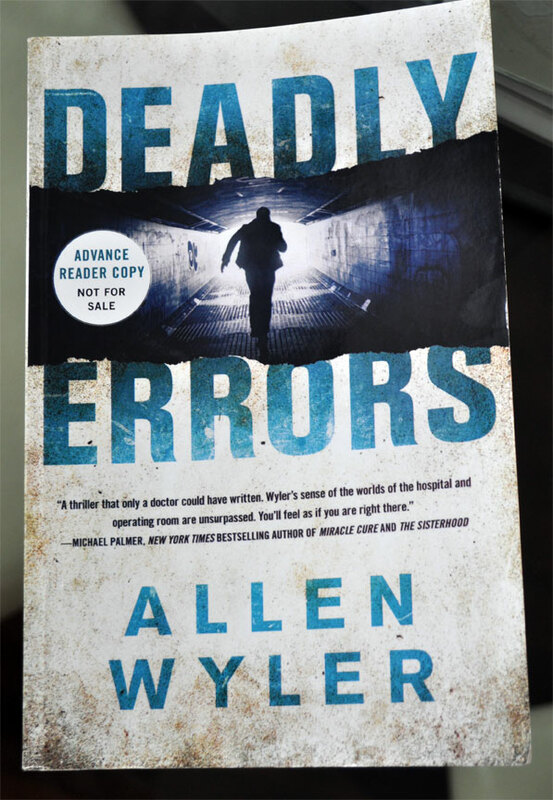 The first, Deadly Errors by Allen Wyler, is actually a reprint of 2005 thriller written by the Seattle-based neurosurgeon turned fiction-writer. The novel deals with a Dr. Tyler Matthews who discovers a series of unexplainable medical errors that he suspects may be linked to a new Med-InDx electronic health record that is being piloted at the Seattle-based hospital where he works. When one his patients dies from a radiation overdose, he discovers the medical record has been tampered with – something the hospital IT department says is impossible. Was the dose the result of human error, or is there something going on with Med-Indx that is putting patients at risk? The plot thickens as we are quickly introduced to the villains who are out to cover up the problem with the EMR and discredit the surgeon in order to get accreditation for the product. The villains recognize that a successful pilot could make Med-Indx the new standard for U.S. hospitals — and subsequently make their investors and criminal cronies very wealthy. The only mystery is the extent of the conspiracy and the lengths they’ll go to cover it up – including murder. A first novel for Wyler, the book is a very uneven read. Where Wyler has expertise – particularly in the operating theatre – the book is vivid and compelling. When it comes to the fictional doctor’s personal relationships, the characters often feel wooden and their actions extremely contrived. Early in the book Dr. Matthews’ wife leaves him because of a frame-up intended to expose the doctor as a drug addict. This feels really forced and raises questions about why he is so interested in re-uniting with someone who lacked faith in him? But who cares? Jane Austen this isn’t. The plot is about as believable as a James Bond novel – the villains nasty and hero remarkably agile as he weaves from one danger to another. About three-quarters the way through the book the ongoing betrayals seem a bit much. 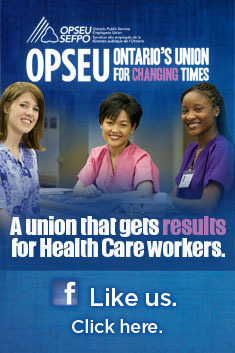 You start to wonder if even the hospital porters are in on the conspiracy. There is even a bad guy working for another rival EMR company out to expose Med-Indx’s flaw! The book moves along at lightning speed – something Wyler might have sacrificed a tad to build his characters and lend a little more atmosphere to the proceedings. The second book sent to us is far more polished than the first. Bad Karma in the Big Easy by D.J. Donaldson involves the work of a New Orleans Medical Examiner shortly after Hurricane Katrina. Andy Broussard finds the bodies of three women in the Katrina aftermath particularly suspicious given forensic evidence that they were once frozen. The three women had all also been recent surrogate mothers. How did they end up on the streets of the city alongside the other flood victims? The discovery of the bodies coincides with a particularly grizzly suicide that Broussard thinks may be linked. The investigation quickly takes him and his co-investigator to a medical clinic that uses cutting edge technology to use a patient’s stem cells to recreate organs on a 3-D printer. This approach allows the private clinic’s surgery to transplant the organs without the need for anti-rejection drugs. Donaldson, incidentally, says such technology was actually being explored at the time he was writing the novel. We eventually discover, like Wyler’s book, there are bad guys out to protect their fortune by covering up shortcomings with technology. Unusually, Broussard’s big break in the case comes from popular culture. It’s incredible how useful Google can be in a murder investigation! Donaldson does a good job of balancing New Orleans culture with the tragic aftermath of Katrina. We at least know why these characters decided to stay – its for the Cajun cuisine! There is also a sprinkling of humour that breaks up the descriptions of mouldering properties in the 9th Ward. The characters do feel more flushed out, even if Donaldson does fall back on some clichés, including the requisite emotionally fractured damsel in distress who is Broussard’s psychologist sidekick in the books. Like the Wyler novel, the mystery eventually takes us way out on a limb that also feels exaggerated and the strange climax a bit silly. Bad Karma in the Big Easy is one of a series of Andy Broussard mysteries set in New Orleans and subsequently has the feel of a serial. Donaldson returned to the Broussard series after taking time off to write another series of Medical Thrillers under the name Don Donaldson. Sometimes the big issues of the day are better dealt with in fiction, where revelations are less likely to find you in a frame-up, clubbed by a villain, or subject to taking a slug from a 45. I love books like these and this sounds like a great book to pick up. I’m in the middle of “Hypocrisy” by D.M. Annechino; it’s a medical thriller about cancer research. His website, http://www.dmannechino.wordpress.com has more insight into the book. It’d be great to read another medical thriller after I finish this one, so I appreciate the review and book idea. Readers who enjoy these books might also like Murder in Mexico. It’s my series of twelve mysteries set in and around the upscale expat colony of San Miguel de Allende. Artist Paul Zacher is drawn into crime investigation because ‘he might see things differently.’ Maybe it’s time for the rich humanity of Mexico to show through all the narco headlines! Ready for the real Mexico, beyond the phony news reports? Take a look at this suspenseful and often funny series, available in Print, Kindle, Nook, Kobo, and iBook in the Apple Store. Start with ‘Twenty Centavos’ by trying a sample on my website.